A photo released by Lockheed-Martin shows a C-130J-30 Super Hercules of the Republic of Korea Air Force (RoKAF) in flight. The first two RoKAF C-130J-30s have been delivered, making the Republic of Korea the 14th country to fly the C-130J. 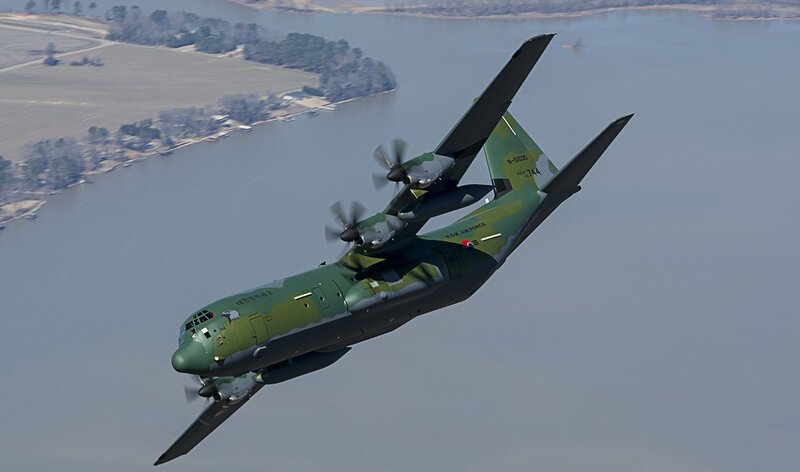 The ROKAF has ordered four C-130J-30s, which are the longer fuselage or “stretched” combat delivery variant, and all aircraft are expected to be delivered this year. The RoKAF currently flies a dozen C-130H/H-30s, some of which have been assisting with the ongoing search for missing Malaysian Airlines flight MH370. The full Lockheed-Martin press release can be found here.